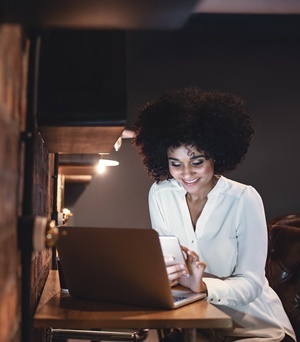 Cape Town - Women entrepreneurs often lack financial skills and knowledge to get their business off the ground or to the next stage of growth, according to Prabashnie Moodley, head of human resources at consumer credit reporting agency Experian SA. Understanding how to access finance, how lenders and micro-lenders operate and an awareness of sound credit management practises are some of the issues that need to be addressed in order to empower women entrepreneurs, particularly in the townships, in Moodley's view. In June Experian and non-profit organisation Rhiza Babuyile launched Buzz4Eve, an initiative that tackles these challenges. The programme promotes entrepreneurship among women of all ages in the townships of Diepsloot, Orange Farm (Gauteng) and Welkom (Free State). As part of this partnership, Experian employees provide financial literacy and credit awareness training to groups of women entrepreneurs affiliated to Buzz4Eve. At business pitch sessions women are encouraged to apply skills learnt and stand a chance to win a cash prize of R12 500 towards their business. "There are many benefits to maintaining a healthy personal and business credit reputation. This provides an opportunity to access finance as lenders need to understand the entrepreneur’s credit behaviour and ability to repay debt before they are able to grant loans," said Moodley. "Entrepreneurs who maintain a good credit reputation have a better chance of getting approval as these reports provide a detailed perspective on the individual’s payment behaviour. While it is important to see to personal expenses, it is equally important to see to the business' monthly expenses and pay off financial obligations timeously." If it happens to be a tough month, business owners should communicate this with lenders as early as possible. At the same time, entrepreneurs are encouraged to build a savings fund for unexpected events. "This reserve will go a long way to ensure employees and suppliers are paid during the tougher times," said Moodley. "The aim of any small business is growth, so attracting new customers is key. Yet the risk of taking on new customers that may fail to pay is a huge area of concern. Taking on the wrong kind of customers could have a negative effect and ultimately harm a business’s chances of survival." Experian encourages entrepreneurs to be aware of what impacts negatively and positively on both their personal and business credit reports and to make a habit of checking their credit profile regularly to ensure that it accurately reflects their circumstances.